Lighting control is an extremely important factor in any light installation. It changes the way that lighting is used and transforms your daily routine, making it as simple and as adaptive to your life as possible. This is why it’s vital that, when planning your lighting control, you consider which product to select. In this case, which LED sensor. Sensors are a fantastic and simple way of controlling lighting. VEW lighting sensors are easy to install and even easier to use, making it possible for you to power your lights simply with a quick motion. So which of the vast range of VEW LED sensors is right for you? Here’s some useful information on some of our products in the VEW range. 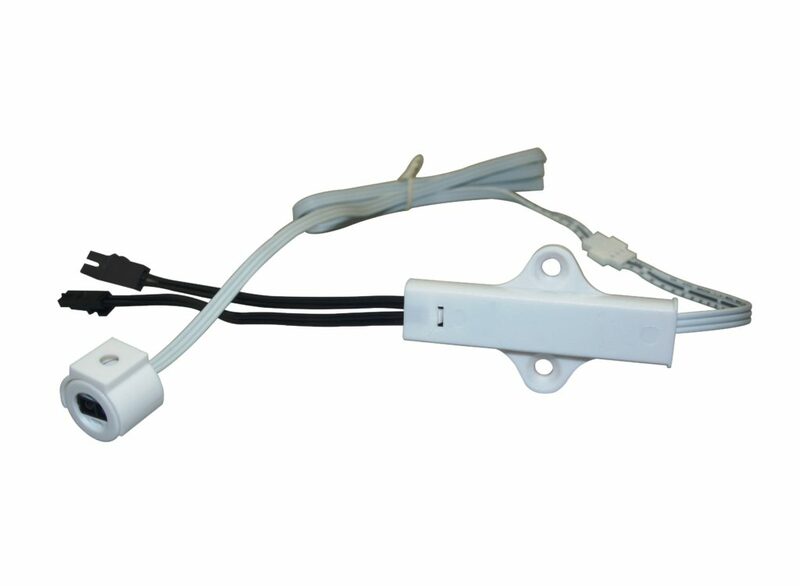 The IR Motion Sensor Switch is perfect for installation in numerous places, the most common area being on the underside of a cabinet. This LED sensor is motion activated, meaning it will turn on when an object (like a hand) passes in front of it, then when an object passes in front of it again it will switch off. When used in areas such as under cabinet it provides an extremely easy and hassle free way to power your lighting. It has a detection range of 100-150mm and a maximum load power of 12v-60w. This product comes complete with a 1100mm sensor cable, meaning that it can be installed a useful distance away from the driver and light itself. 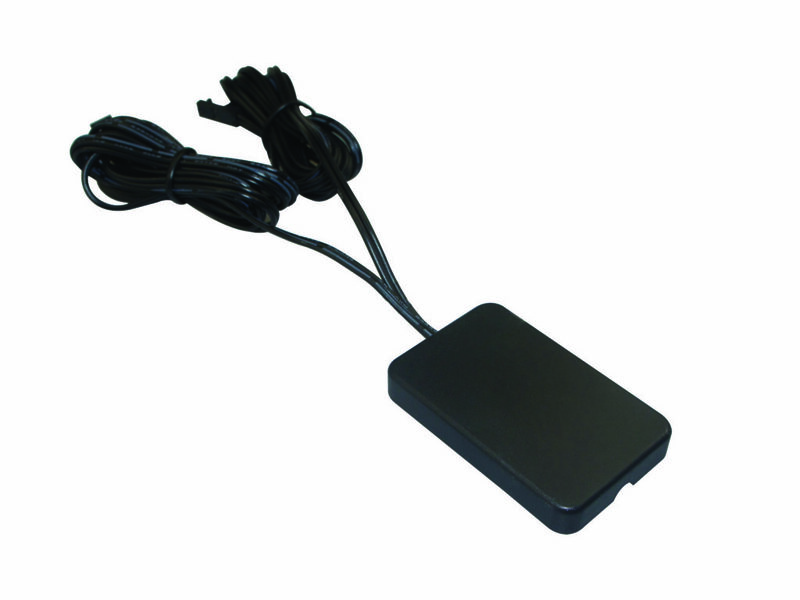 As this product comes with a detachable mounting bracket it can be surface or recess mounted. To see this sensor in action, watch our product video. Visit our website for more information on the N28-0004. The PIR SenSwitch is a motion activated sensor that automatically switches off after 30 seconds when motion is no longer detected. This type of LED sensor would most commonly be used in cabinets or in areas such as wardrobes or larder units. Once an object passes within the detection range of the sensor the lights will turn on and will stay on as long as motion is detected. After 30 seconds with no movement the light will turn off making this a perfect sensor to add to an in cabinet area. This type of sensor significantly cuts down on energy wastage as lights never stay on longer than needed. It has a detection range of 3-5mm and a maximum load power of 12v-40w. This product comes complete with a 1500mm sensor cable, meaning that it can be installed a useful distance away from the driver and light itself. As this product comes with a detachable mounting bracket it can be surface or recess mounted. Visit our website for more information on the N28-0003. The IR Double Door is double door sensor that is perfect for use in wardrobes, larder units or cabinets that have 2 doors. 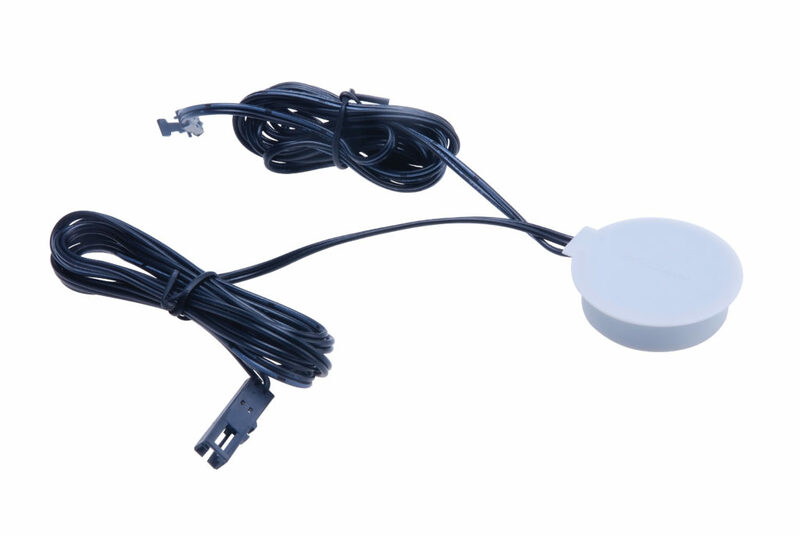 This sensor is door activated, meaning it will turn on when there is nothing covering the sensor and turn off again when it is covered, making it perfect for use with in cabinet lighting. It has a detection range of 100-1500mm and a maximum load power of 12v-60w. 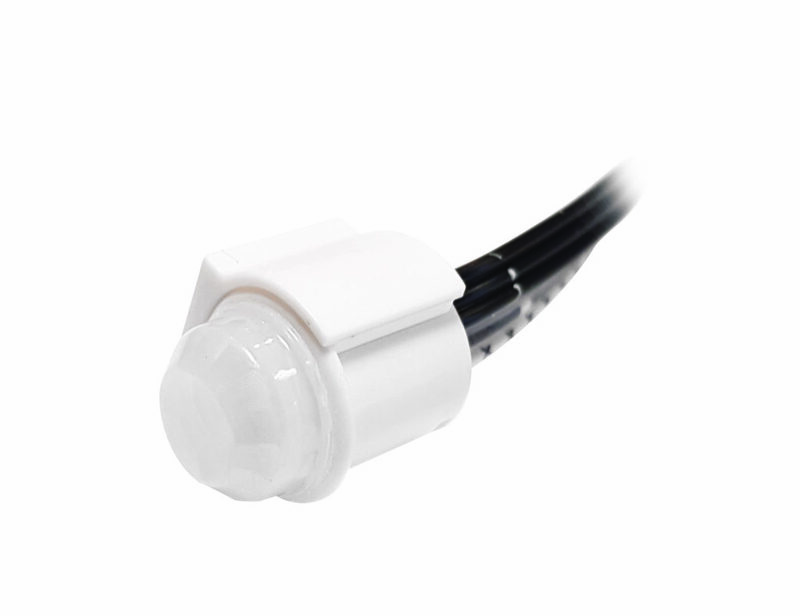 This LED sensor comes complete with a 1100mm sensor cable, meaning that it can be installed a useful distance away from the driver and light itself. As this product comes with a detachable mounting bracket, it can be surface or recess mounted. The IR Door Motion Sensor Switch can be installed in numerous places, the most common area being on the inside of a cabinet. This sensor is door activated, meaning it will turn on when there is nothing covering the sensor and turn off again when it is covered, making it perfect for use with in cabinet lighting. To see this LED sensor in action, watch our product video. Visit our website for more information on the N28-0001. 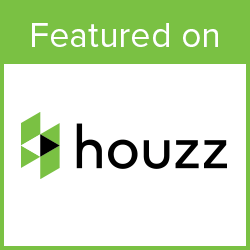 This innovative product is an invisible touch sensor that senses pressure to control lighting. When recess mounted the sensor detects when a surface above it is touched and will turn the light on and off when this happens. It can sense motion from a distance of 19mm! It must be recess mounted and has a max load power of 12v-60w. This product comes complete with a 1500mm sensor cable, meaning that it can be installed a useful distance away from the driver and light itself. Visit our website for more information on the N28-0006. The Mirror Touch hidden sensor is an invisible touch sensor that senses pressure to control lighting for use on a mirror. When recess mounted behind the mirror the sensor detects when the surface above it is touched and will turn the mirror lights on and off when this happens. It must be recess mounted behind the surface of the mirror and comes with 3M adhesive included for easy installation. 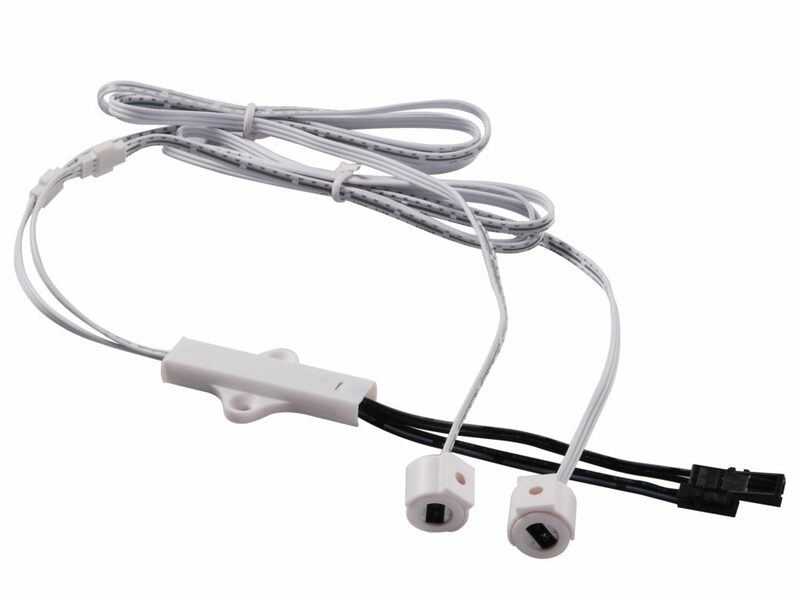 This LED sensor has a max load power of 12v-60w and comes complete with a 1500mm sensor cable, meaning that it can be installed a useful distance away from the driver and light itself. Visit our website for more information on the N28-0007. For more information please contact the TLW team on 01302 238129 or visit our VEWtube channel for informative videos or email us here.